[WATCH] Brian Harman makes 2 aces in same round. 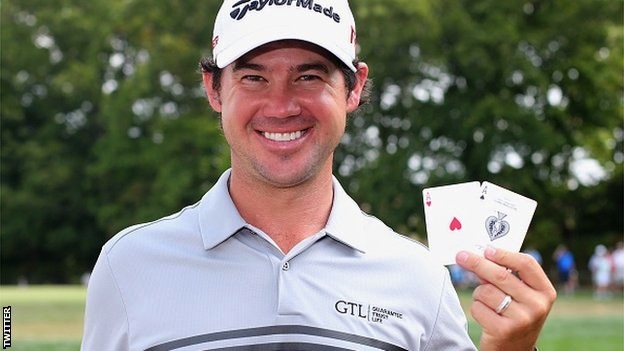 Brian Harman, 28 year PGA tour player has incredible final round at The Barclays. Words can hardly describe the feat that Brian managed to achieve at the Plainfield Country Club, two hole-in-ones in a single round. The first coming at the 190 yard, par-3 3rd hole and the second coming at the 218 yard, par-3 14th. A stunned Brian Harman holing out on the 14th.